U.S. Strategic Command priorities center on providing a strategic deterrent, providing a decisive response if deterrence fails, and carrying out missions with a combat-ready force, Stratcom’s commander, Air Force Gen. John E. Hyten, said today. 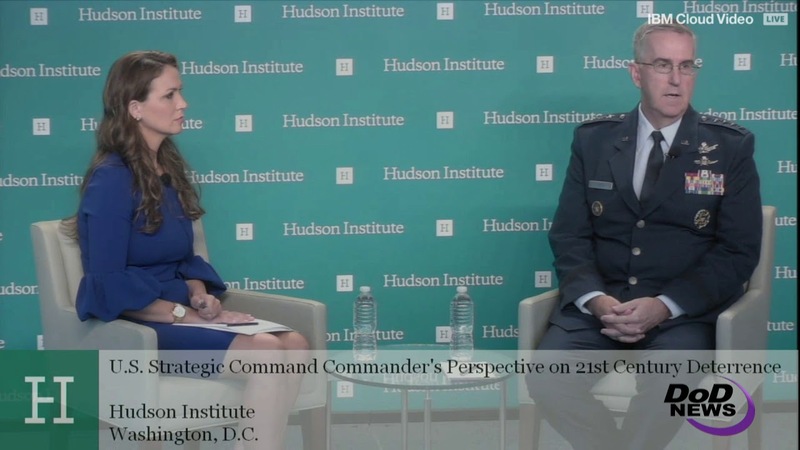 Hyten said those priorities are his vision as commander of Stratcom, when he addressed the Hudson Institute, here. The Hudson is a think tank and research center dedicated to nonpartisan analysis of U.S. and international economic, security, and political issues. Those priorities apply to each of Stratcom’s missions: to provide tailored nuclear space, cyber, mobile strikes, missile defense, electronic warfare and intelligence capabilities for the nation and U.S. allies, he said. The United States has not come under strategic attack in any of the areas that are under his command, which is the whole point of having deterrent capability, Hyten said. And a combat ready force does not just apply to the nuclear mission, he noted. Hyten said as war happens, it might extend into space. “Some adversary may push it there, he said. “And so the response and how it's different than the nuclear side is the response in the recommendation I give the president of the United States. If we get attacked in space I may not recommend a response in space,” he said. 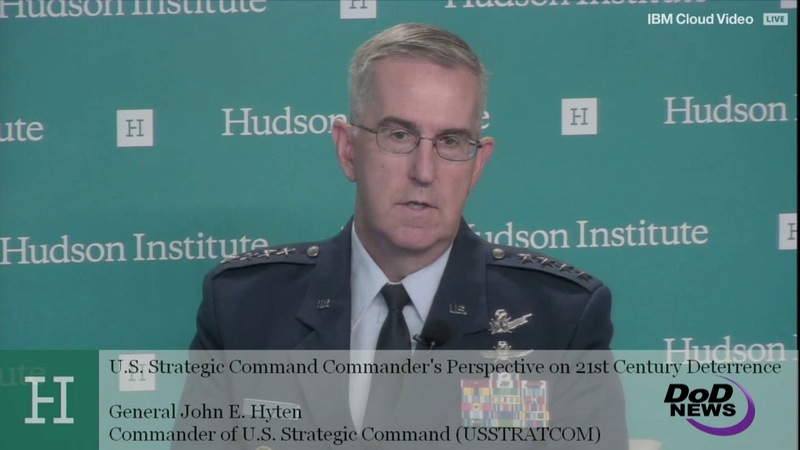 Hyten encouraged the audience at Hudson Institute to start engaging in the public debate, not just about nuclear deterrence, and not just about missile defense.